Did you know National Jelly Bean day is on April 22nd? 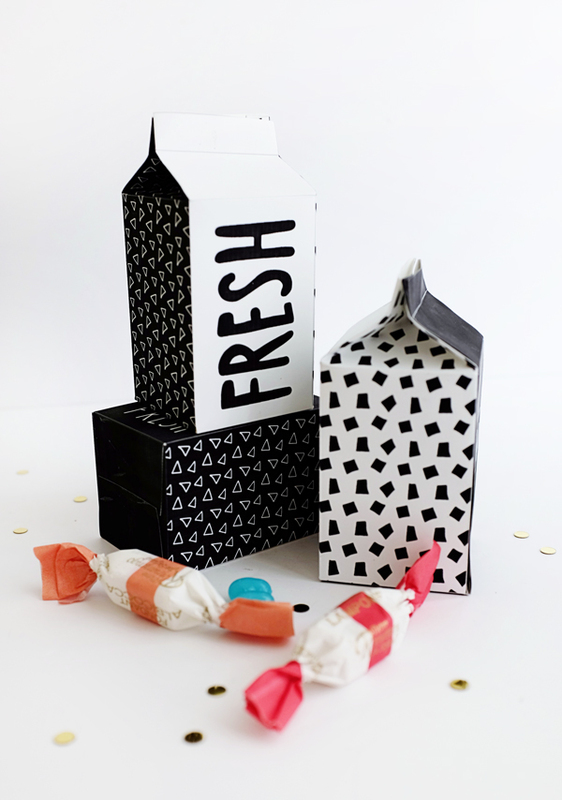 Whether jelly beans are your thing or not, these printable cartons are a great way to package your candy (especially the loose ones) and treat your friends or guests. 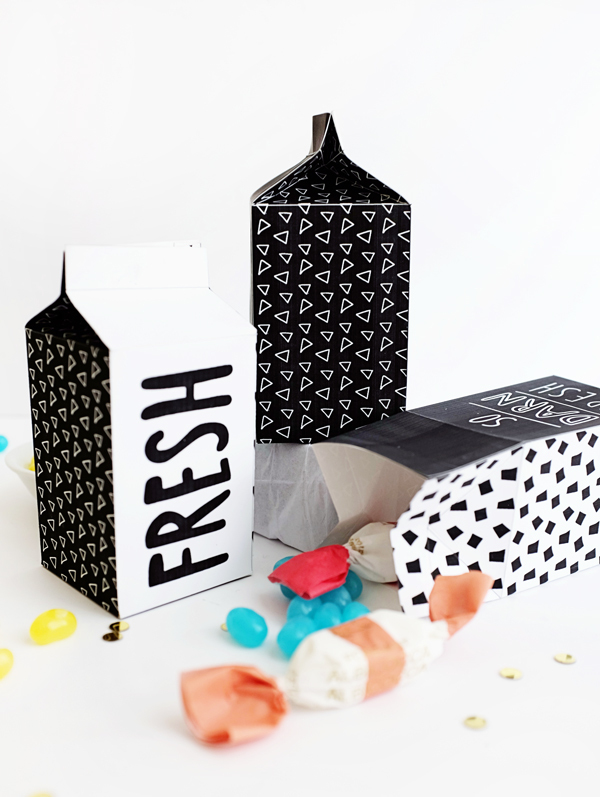 These black and white cartons can also be printed on colorful paper to match your party. Don’t they make the sweetest little gift? 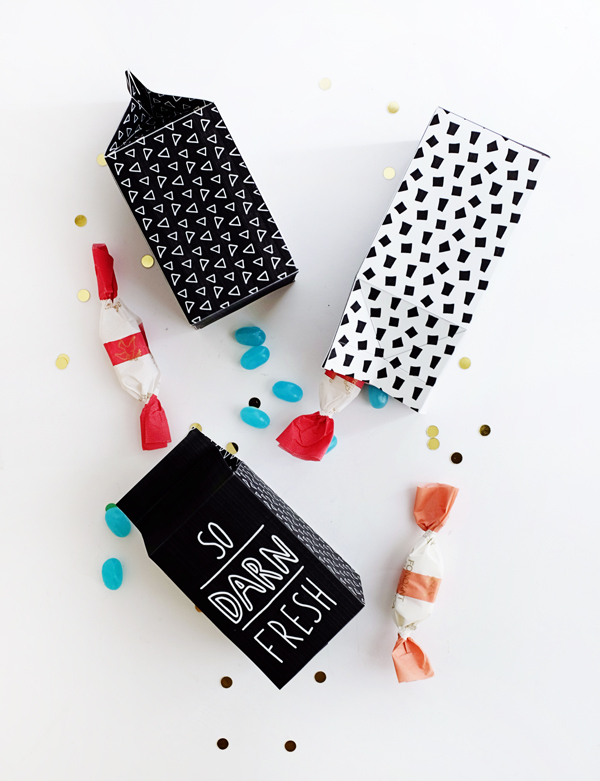 Materials: Printable Candy Carton Template, 8.5×11 white card stock, glue, bone folder, ruler or straight edge, scissors. 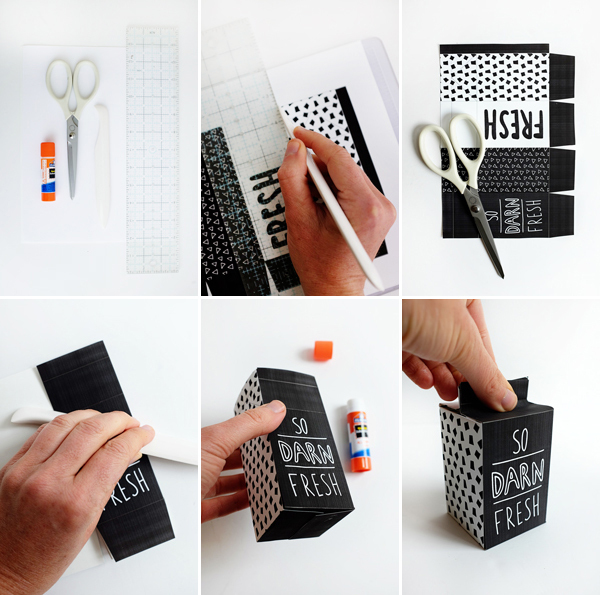 Step 1: Print out the Printable Candy Carton Template on 8.5×11 white card stock. Using the ruler and bone folder, score all of the fold lines on the box. Step 2: Cut the carton fold the scored lines using the bone folder. Step 3: Glue the bottom and side tab and fit the carton together. You can use the bone folder to press glued tabs on the bottom of the box. Let the carton dry. Step 4: Fill the carton with your favorite treat and pinch the top in and down as pictured in the photo. 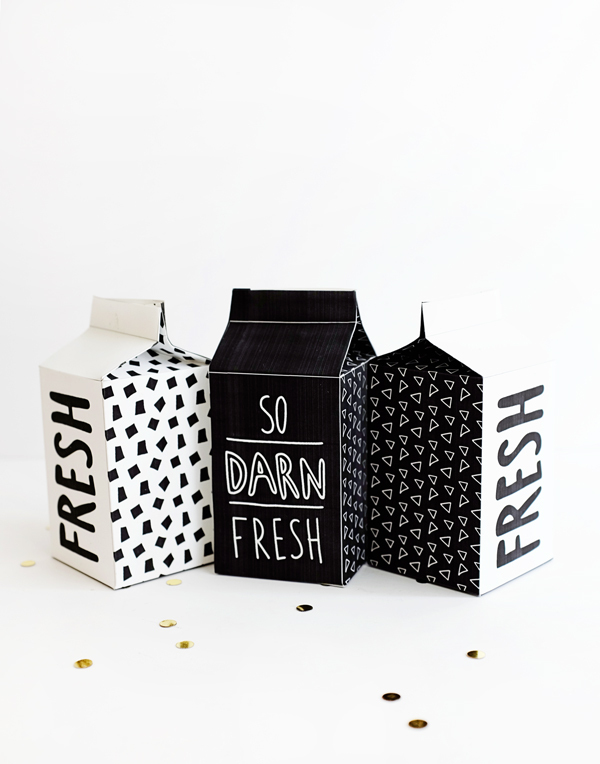 These carton are so cute! I need to make some for our next party! This is so cool, I love the black and white design! This is actually such a cute idea! I’m going to make some of these to give to my friends!